With easy access to credit and relatively low-interest rates, the “buy-now, pay-later” mentality has become a way of life for many Canadians. Unfortunately, despite the carefree appearance of buy-now, pay later, there are serious financial and other consequences when you decide to spend beyond your means in the present moment. “Debt is largely viewed as a means to an end for many Canadians. However, when you start considering the true cost of the purchase in the context of interest or other charges, the actual purchase price is significantly more. This is the true cost of debt. Is it worth it?” says Jeff Schwartz, Executive Director, Consolidated Credit Counseling Services of Canada. 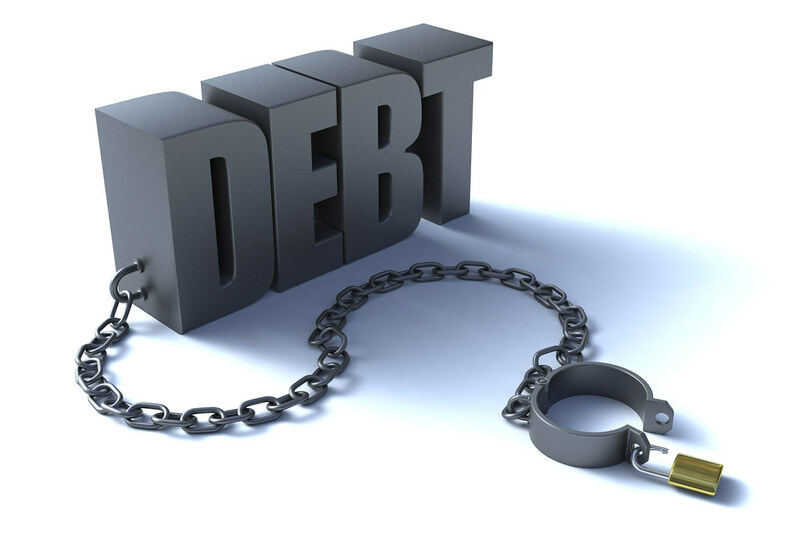 Is the cost of your debt causing you to fall behind in your payments? We can help. Call one of our trained credit counsellors at 1-888-294-3130 or get started with our free online debt analysis. When you are house hunting, it is common to visit your lender to get pre-approved for a mortgage. What a pre-approval does is set the high end of your housing budget, which isn’t the amount that you should actually take out for your mortgage. When your mortgage payments are that high relative to your income and other expenses, you are backing yourself into a financial corner. Don’t forget that as interest rates rise, your payments will as well, which is going stretch you even further. It’s not just that hefty mortgage payments take a big bite out of your monthly cash flow. You also need to consider how much more it is going to cost you in the long run to take out a larger mortgage. How much can you really afford? Let’s say that you are house hunting and have set a sensible budget that includes a mortgage payment, emergency savings, your other monthly obligations and still leaves you enough cash flow to live comfortably. You find two homes: one that meets your budget conservatively and a more expensive one that you technically qualify for, but will have little wiggle room left if you max out your mortgage. Don’t forget, you will pay out thousands (in some cases hundreds of thousands) of dollars in interest to take out a mortgage. The longer you keep the mortgage loan, the more interest you are going to pay. You are far better off to approach house hunting with a minimum mortgage approach rather than a maximum mortgage approach. This means taking out a smaller mortgage in the first place, which may mean that you buy a less expensive home or wait to buy until you have a larger down payment. You should also look for ways to pay your mortgage down faster, like pre-payments when your mortgage comes up for renewal, which will go right to the principal of your debt paying it down faster. According to a survey from TransUnion, although the vast majority of Canadians (88 percent) pay more than the required minimum on their credit cards every month, 39 percent of them are unaware of the benefits of paying off an amount greater than the minimum. “In a nutshell, carrying a credit card balance is expensive because of how interest accumulates,” says Schwartz. Your payment is split between interest and principal. When you only make the minimum, a hefty chunk of that goes towards servicing the interest. Every month, your balance will continue to grow as interest accumulates. While making the minimum payment on time will support you to keep your credit in good standing, it isn’t going to do much at all to help erase your debt. Let’s say that you owe $5000 on your credit card and that your interest rate is 18.99 percent. If you make a minimum payment of 4 percent a month ($200), it wil take just under 12 years to pay off your debt and cost you over $3000 in interest. And that’s assuming that you don’t add to your existing balance! For comparison sake, if you made the minimum payment, plus an additional small amount every month (+$10), it will still take several years to pay off your debt, but you’ll save $600 in interest charges. However, if you apply a fixed payment every month to your card of $275 and don’t add any more to your debt owing, it will take less than 2 years to pay the debt off and you’ll end up paying about $943 in interest. That’s a big difference. Check out this credit card calculator to see how much interest you’d pay on your credit card debt if you make the minimum payment only. Most credit card companies list on the bottom of your statement how long it would take for you to pay the debt off in full. It’s worth reading your statement in full every month to check for accuracy, but also for a reminder of the heavy cost of carrying this debt. Before you buy on impulse and use credit, consider how much it is really going to cost you to purchase the item. While an impulse purchase may feel exciting or rewarding in the moment, is that post-purchase glow going to last several years while you are paying it off? It’s far smarter to save up and buy or to only use credit cards for purchases that you can pay off in full every month. The cost of debt isn’t just limited to the financial. As debt loads increase, so does the stress and anxiety that comes along with trying to make ends meet. The cost of carrying debt is substantial and if you are living paycheque to paycheque, debt stress is the reality. The stress of dealing with debt impacts your relationships, your job performance, your financial future and your physical health as well. Physical symptoms of anxiety include nausea, dizziness, stomach issues, headaches, high blood pressure and heart problems. The cost of debt to your health is very high. Is it worth it? The longer you wait to pay down your debt, the more it will cost you. Call us at 1-888-294-3130 or check out our free online debt analysis.